PARIS (Reuters) -- Monthly new-car registrations fell again in Germany, France and Italy in August with mass-market brands hit hardest. German sales fell 4.7 percent to 226,500 registrations in August, preliminary data from the VDIK importers association showed on Tuesday, while sales in France tumbled 11 percent to 96,115 cars for a tenth monthly decline, the CCFA industry association said. In Italy, sales dropped 20 percent to 56,447 units, a level not seen since 1964 and the ninth consecutive double-digit fall in the market, according to automotive think tank Promotor. New-car orders in Italy have fallen 22 percent in the first eight months to 921,000, while registrations have slipped 20 percent to 981,000 in the same period. The August decline led Promotor to trim its full-year forecast to 1.370 million units from a previous 1.379 million, itself a cut from an outlook of more than 1.4 million units at the end of June. "Without intervention to help boost the purchasing power of families via tax reductions and a relaunching of consumption it will be very difficult to see any sign of recovery," Jacques Bousquet, President of Italy's car industry association UNRAE, said in a statement on Monday. Spanish car sales rose 3.4 percent in August as customers rushed to complete purchases and beat a sales tax rise in September. Spain's market increase was the first in seven months. Some 10,000 consumers completed purchases they would otherwise have made later, the ANFAC automakers' association said - setting the scene for a challenging environment later this year. September and October will be a "disaster," Spanish car dealers' association Faconauto said. Sales are set for a sharp fall unless automakers discount even more aggressively, a spokesman added. 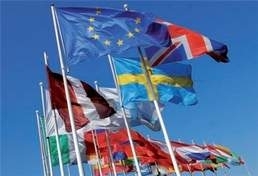 Analysts said the downtrend in Europe would likely resume this month. "We still do not see any signs of recovery on the horizon," said Flavien Neuvy, head of French auto-industry think tank Cetelem. The country's main growth drivers are at a standstill, with mass-market carmakers worst hit, Neuvy said. "We are seeing a polarization of demand, with premium and low-cost brands doing much better." In France, domestic registrations of the Renault brand plummeted 30 percent, even as its low-cost Dacia marque recorded a 21 percent gain on runaway sales of its no-frills Sandero subcompact and Duster SUV. PSA/Peugeot-Citroen's domestic sales fell in line with the local market's 11 percent drop. Europe's second-largest automaker is cutting more than 10,000 jobs at home as it struggles to stem mounting losses. Ford saw August sales plunge 17 percent in France and 22 percent in Spain. French annualized sales are down about 20 percent from their 2010 peak, compared with 35 percent for Italy and Spain, "indicating the potential for further falls in France," Credit Suisse analyst David Arnold said in a note. Kia was among lower-cost brands that recorded strong increases, as the South Korean automaker and affiliate Hyundai continued to build on a combined European market share that reached 5.9 percent in the first half - up 1.2 points year-on-year. European No. 1 Volkswagen also continued to grab business from rivals. Sales of its core brand fell 7.4 percent in France and rose 8.7 percent in Spain, outperforming both markets. VW's luxury Audi division delivered gains of 8.4 percent in France and 9.7 percent in Spain, as luxury automakers advanced. BMW also rose in both markets. Fiat brand sales tumbled 34 percent in France and rose 13 percent in Spain.